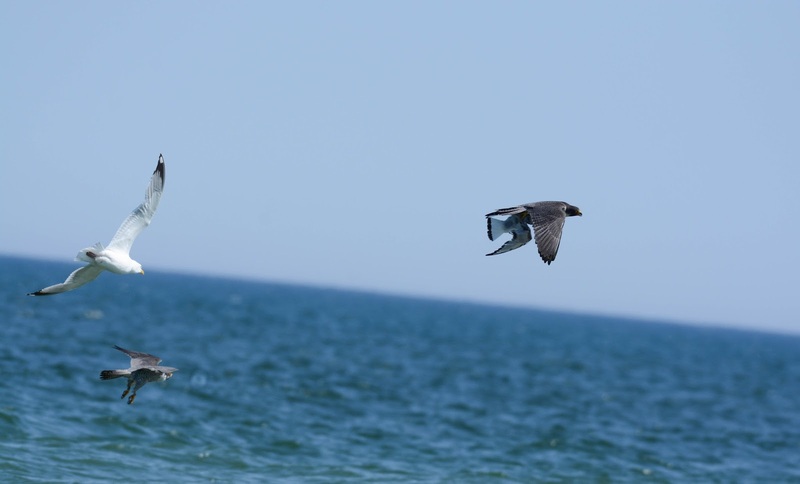 Anything Larus: Bonaparte's Are Fast - Peregrine's Are Faster! I've seen gulls do this with eagles and hawks, but I've never encountered a gull with the courage to chide a Peregrine. I suppose the falcon isn't much of a threat if it has its talons full! 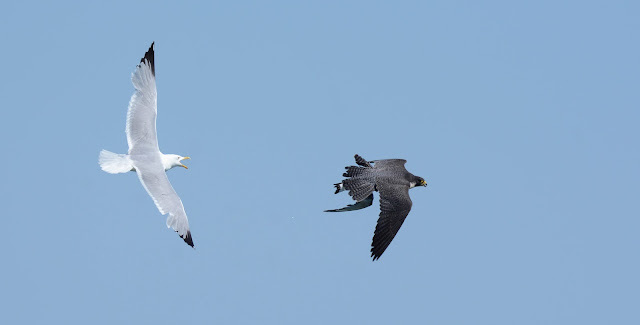 The Herring persisted and "tailed" the adult Peregrine for about 10 seconds when a second falcon appeared and thwarted the gull. The Herring, knowing what formidable predator it was facing, never dared to fly directly in front of or below either falcon. The only thing scarier than a Peregrine Falcon is two PEFAs! Both of these birds have metal bands on both legs and nest on a nearby tower. I hung out near the impoundment for a few more hours hoping the gulls would return as they usually do. 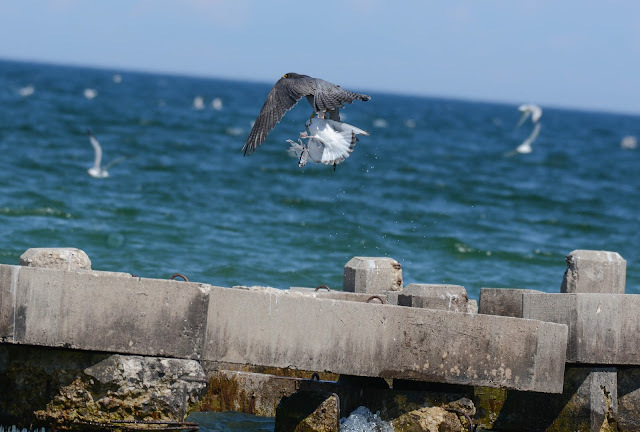 Alas, they continued to feed over the lake, far out to the north and never did return while I was there. 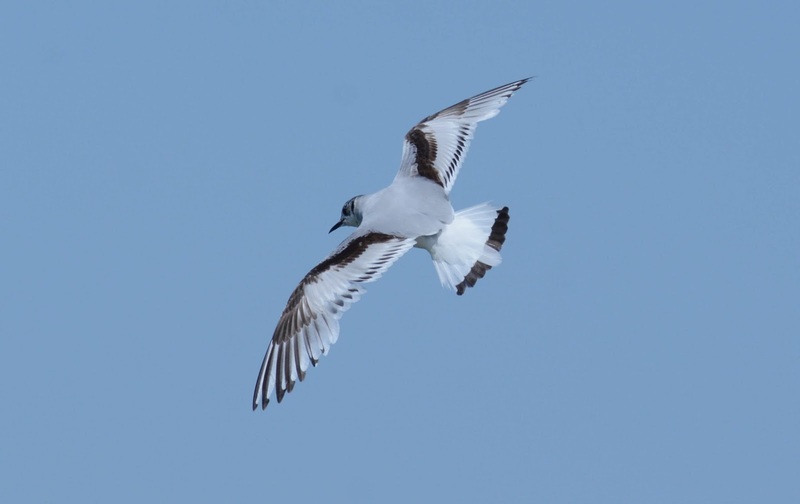 Fortunately, the falcons didn't catch what many of us would consider a "better" bird, for lack of a better word (like this Ross's Gull earlier this year in California). 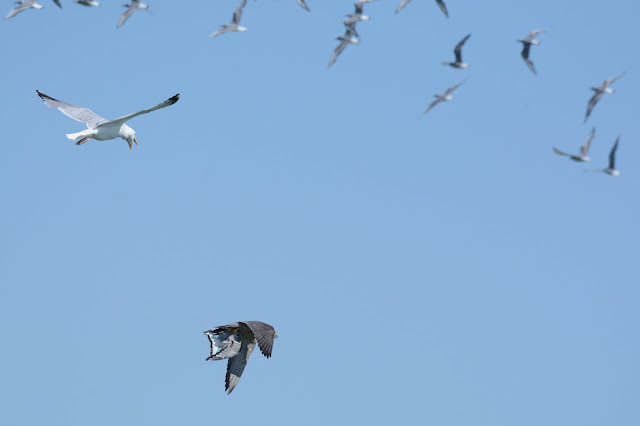 There are other migratory birds here that could easily fall into the talons of these so-called "fighter jets of the avian world". You just never know! 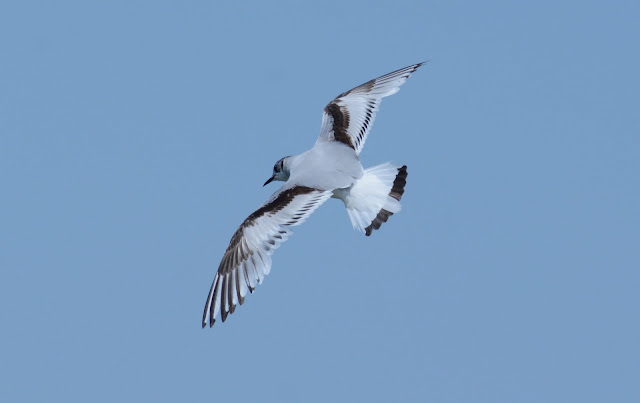 Little Gull. Manitiwoc, Wisconsin 05 June 2017.